Vetroflex Original by animalife is a joint supplement containing completely natural hydrolysed collagen, to promote flexible, strong & healthy joints & bones. It's formulated to protect cartilage & joint fluid from damage, as well as stimulating collagen production. 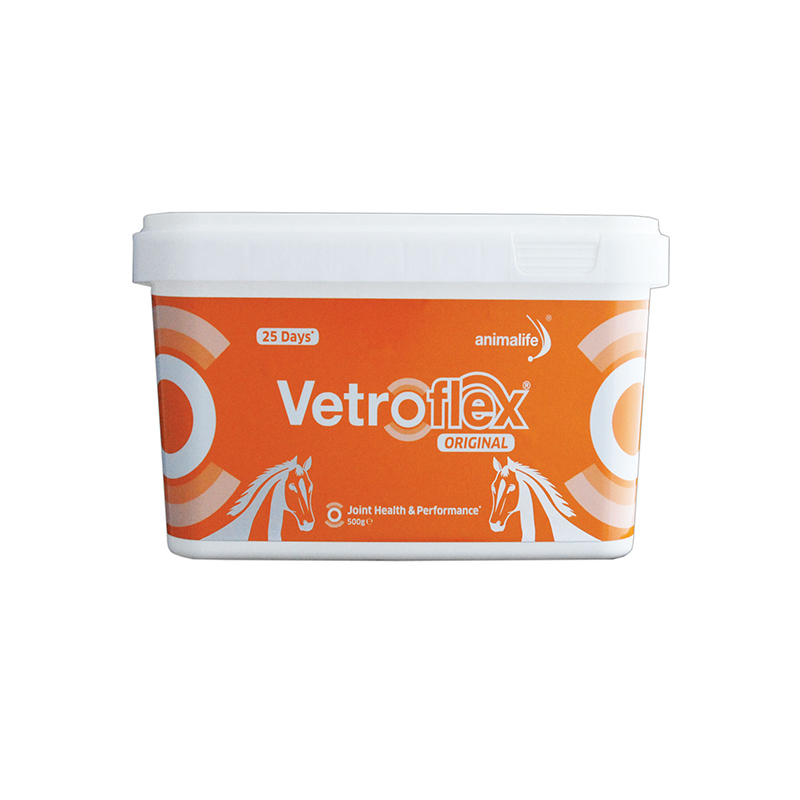 Vetroflex Original was scientifically developed & is easily absorbed by your horse. Most owners start to notice a difference in their horse's flexibility in only 2-4 weeks & nearly all have noticed a difference after 6-8 weeks of feeding Vetroflex Original. Feeding Instructions- Feed a "Loading" rate for the first 10 days, followed by an "Intense" rate, then a "Maintenance" rate. If possible, split the daily amount between morning & evening feeds.